There was a time when America's working class was seen as the backbone of the American economy, having considerable political, economic, and moral authority. But the working class we have now has been marginalized, if not ignored, by politicians and pundits. This is changing, swiftly and dramatically. Today's working class is a sleeping giant. 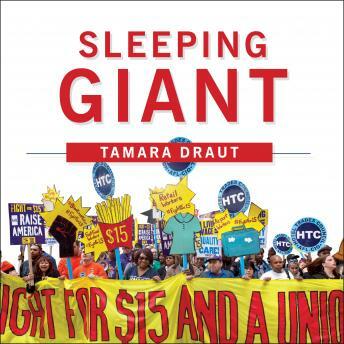 And as Tamara Draut makes abundantly clear, it is just now waking up to its untapped political power. Sleeping Giant is the first major examination of the new working class and the role it will play in our economic and political future. Blending moving individual narratives, historical background, and sophisticated analysis, Draut forcefully argues that this newly energized class is far along in the process of changing America for the better. Draut examines the legacy of exclusion based on race and gender that contributes to the invisibility of the new working class, despite their entwinement in everyone's day-to-day life. No longer confined to the assembly line, today's working class watches our children and cares for our parents. They park our cars, screen our luggage, clean our offices, and cook and serve our meals. They are us.